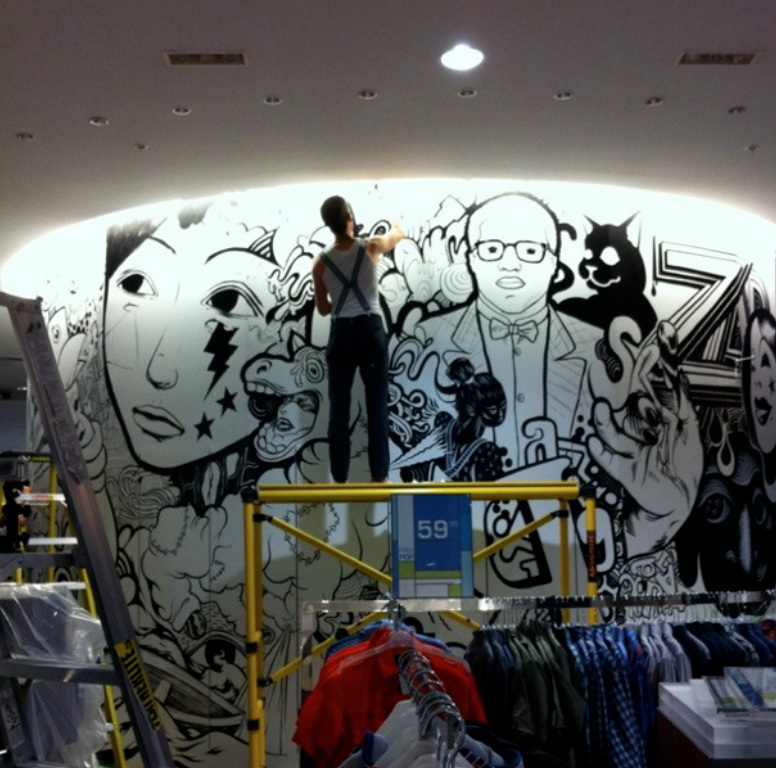 Well the first night of live painting with En Masse was done yesterday. It’s been a productive session, there is still tonight to finish the work then the 12 feet x 70 feet wall will be done. Lots of fun and doodling with Jason Botkin, Rupert Bottenberg, Mireille Bouchard, Flexib White and Patrick Beaulieu.